Welcomed by the luxury hotel, Sofitel, there is no need to worry about logistics. They will spoil with a pleasant welcome at the airport together with a welcome snack along the road. First, do not forget to exchange money at the airport. The rates are pretty good and much alike all over town. It’s really great to relax during your vacay. Take comfort and advantage. It will put a smile on your face for the great memories. 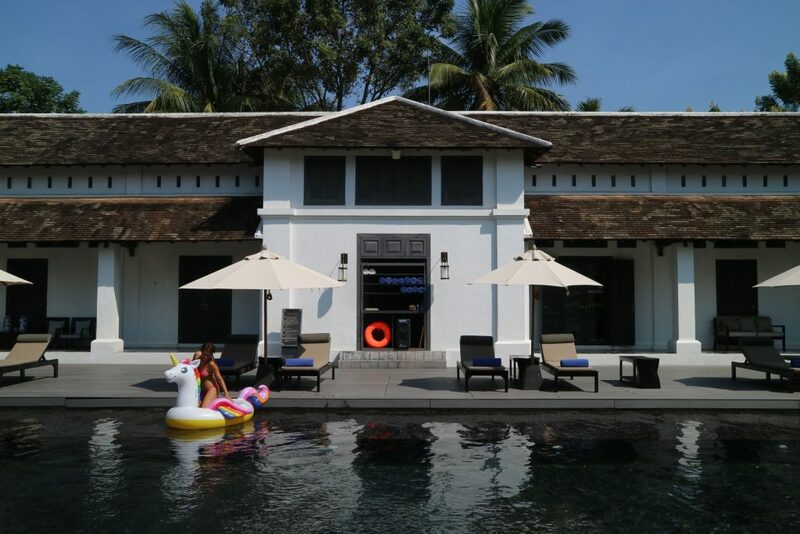 Aside from the lovely rooms, amazing pool and a great environment, the food is amazing here. For special nights, they offer local cuisine and a possible show teaching the local dance. In the morning, the buffet is amazing. Get spoiled with fresh detox juice and other local fruits. Yes, there are pancakes and noodles at the same time. Whatever you crave. 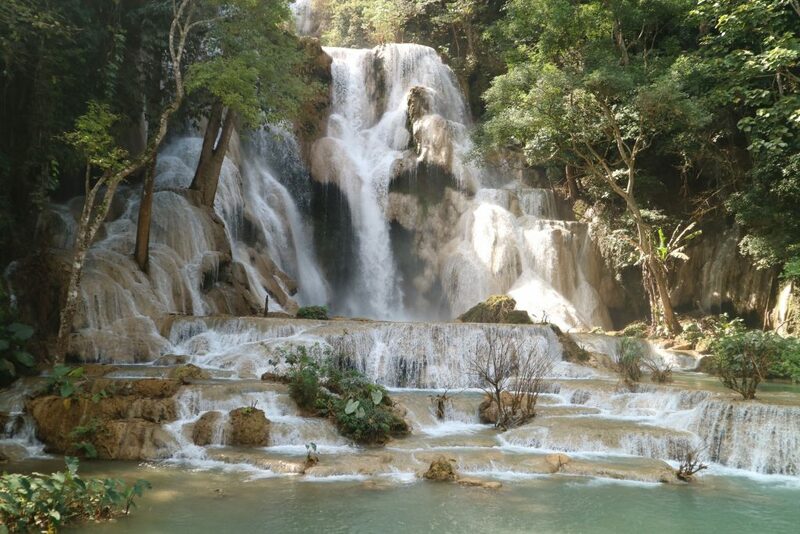 Not far from town and can be arranged through the hotel is the popular Kwang Si Falls. Indeed, this falls is mystical and beautiful. You need a van to get here and it takes 45 mins to an hour road trip. There are stopovers that you can do like the butterfly farm and the buffalo ice cream stand along the way. There is an entrance fee to get inside the vicinity of Kwang Si Falls and a little hike before you see its beauty. You will pass by a bear facility. The black bears are really cute and fun to see. Then hike a little further and you will start to see the base of the falls. Your jaws will drop at the amazing blue color of the water. Bring a swimsuit as it is allowed to swim here. The water is very fresh and amazing. You can also have a picnic here as it is a great place for it. Stay no less than 2 hours at this place. Kwang Si Falls is made up of several tiers. If you want to be near town, 3 Nagas Mgallery by Sofitel is a highly recommended place. The tourist spots are walking distance from this hotel. It is also a UNESCO Heritage site which makes it more amazing as it is. The hotel used to be the house of the royal tailor and across it used to be the royal ice cream parlor. Since 3 Nagas is accessible to the popular tourist spots. Walking around would be a great way to tour around. There are also available complimentary bikes if you wish it to be the mode of your transport. 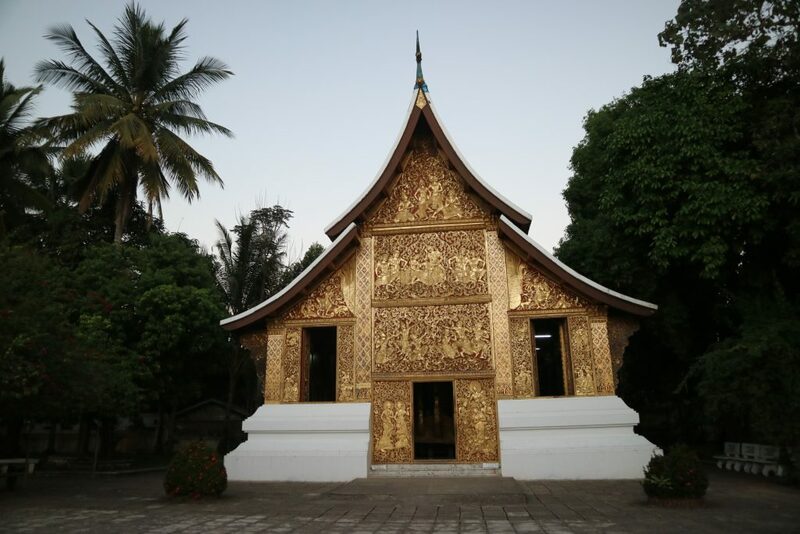 Luang Prabang is famous for its beautiful temples. There are a lot to see in one street. Some have fees and most are free. 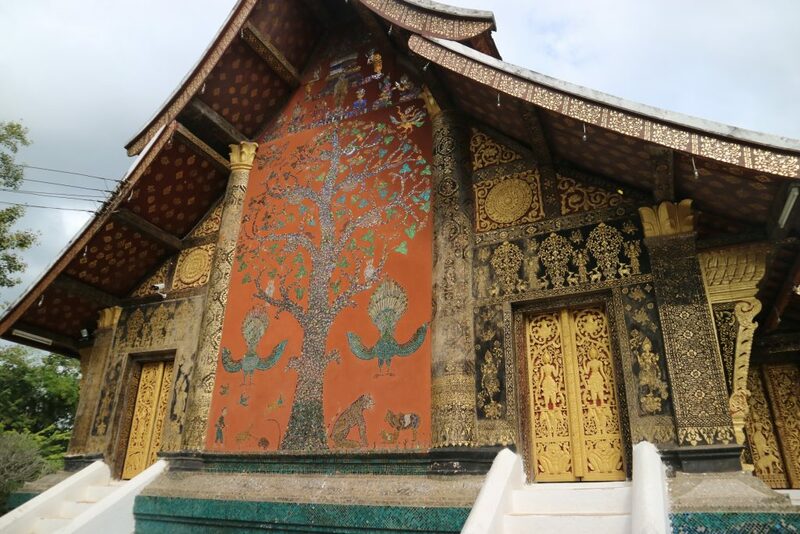 You can start with the prettiest temple, as they say, called Wat Xieng Thong. Then end at the Royal Palace which is now a museum. 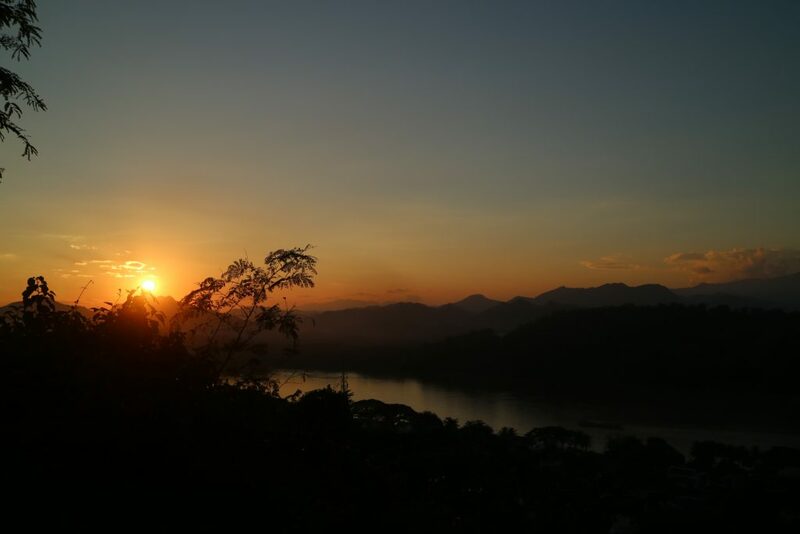 The best places to spend sunsets are Mount Phousi or by the Mekong river. They are both nice. Mount Phousi can be crowded since the whole town wants to spend sunset there and they take endless photos of the sun setting. While in Mekong river,, you can spend it in a cafe or in a hired boat. 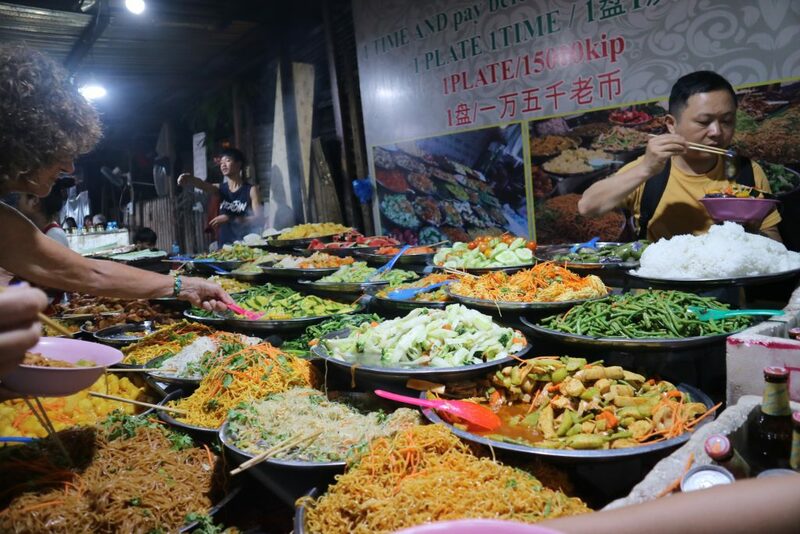 At night, there is a night market to enjoy in the middle of the road. Get ready to shop local stuff. You can haggle but please keep it light. The Lao people or Laotians are really nice and they don’t push you. There is also a corner for food market. In the morning, there is a fresh market. At night, there is an alley for cooked food. The river fish is a local favorite. It’s about 3 USD for a whole fish. Not kidding! In the early morning, giving of alms can be experienced. 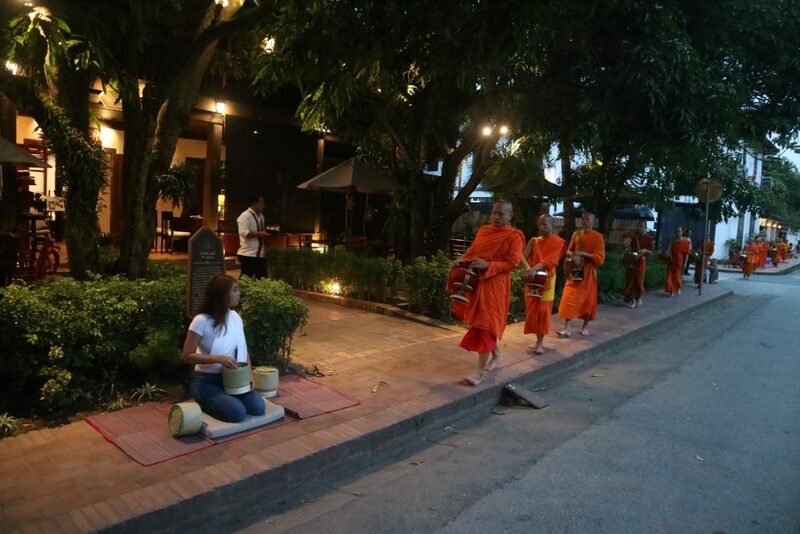 The monks start while its dark and end up still early in the morning. It’s a good way to start the day by giving. 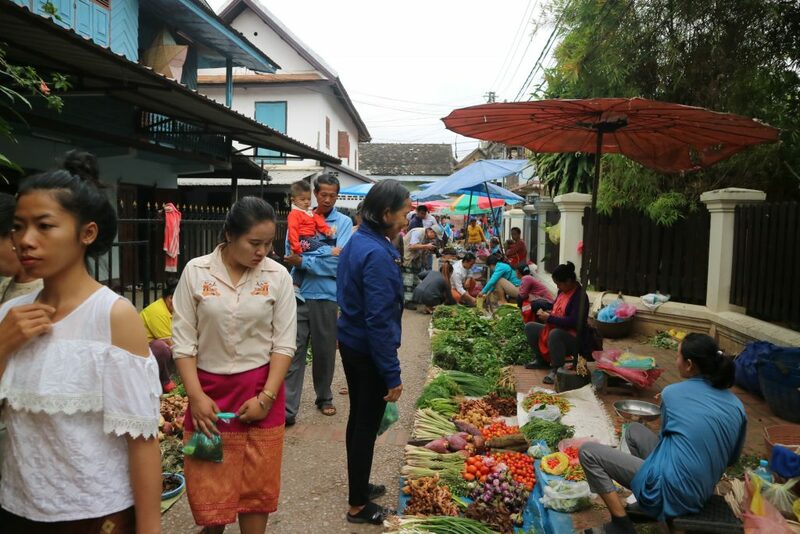 Yes, Luang Prabang is just full on good vibes.